Real Madrid got another victory at home (3-0) against Alavés in a tough game in La Liga, shortening the gap with FC Barcelona, who draw at home against Valencia, and Atlético Madrid, losing at Benito Villamarín. Therefore, it was a successful week for Los Blancos before the big challenges ahead, with El Clásico in Copa del Rey and the Derby at Metropolitano in La Liga. Thinking in these important games, Solari wanted to give some rest to Toni Kroos, Varane, Carvajal or even Marcelo. Even the footballers seemed to wait these big clashes ahead as they were quite relax during the whole game, although they always had the control of the game. Until the last minutes of the match, the result was uncertain but Vinicius closed it at the end. Real Madrid controlled the whole game during the evening but Alavés defended very well, leaving behind no spaces. 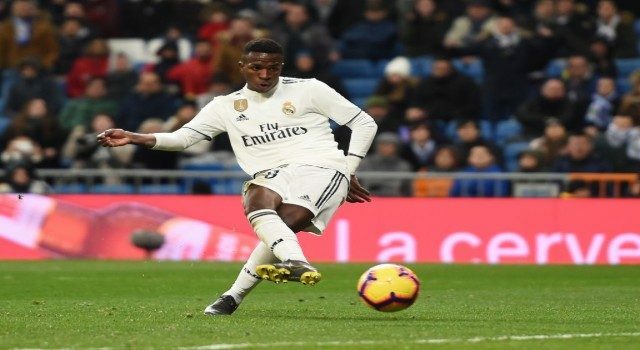 During the first half, only Vinicius had one chance and Alavés didn’t even try to punish Los Blancos. The monotony was broken by Vinicius, who passed Reguilón, who assisted Benzema for tapping in the first goal in the 30th minute. In the second half, Real Madrid relaxed and Alavés had some chances. Especially Jony was close to find the net but Courtois saved it. Los Blancos seemed to have everything under control but the result wasn’t sealed until the last minutes. Asensio assisted Vinicius, who scored his first goal in La Liga. The best action of the game arrived in the injury time, with Mariano heading a great assist from Odriozola. It was an easy victory against a defensive team. Los Blancos are back in track and able to fight for the titles this season. Now, Barcelona in Copa del Rey and Atlético de Madrid are waiting in La Liga. 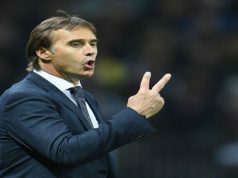 Besides, Ajax is also next in the Champions League, but Solari has recovered many players. Today, Asensio or Mariano had some minutes after their injuries. Solari will need every single player for the rollercoaster ahead.